Originally published by Aktion Unterholz, ausgeCO2hlt and Fridays for future Deutschland Facebook event page. Edited machine translation Enough is Enough. Some actually believed it, many only hoped it: that we would have peace after the court decision, that people and animals in the Hambacher forest could return to everyday life. After a winter break, however, the state government now wants to evict the tree house squatters again! They conceal the fact that trees will be cut and nature destroyed for this purpose. And this despite the fact that the court has just decided that no further cutting can take place (!!) before the court decides whether the Hambach forest is worth protecting. 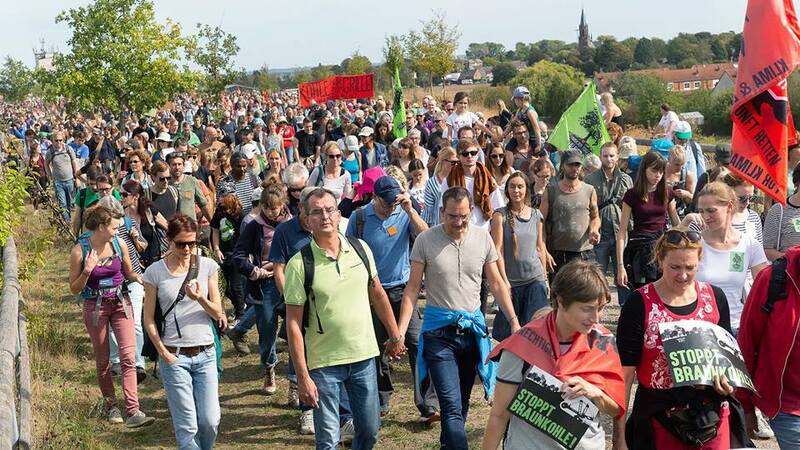 Tens of thousands of people showed in autumn that they no longer want to accept the insanity of coal mining. We and the squatters* now need your support again. Come with us to the forest on Sunday to express our displeasure at this nonsense. Next week, the NRW state government probably wants to clear all the tree houses in Hambi again. We won’t accept that! Big and small people, fat and thin as well as other creatures are welcome. Every human being is needed for the Hambi. For a future for us and our descendants. We meet on Sunday, January 13 at 12:30pm at the gravel plant Collas.